The most humiliating defeat in major league history. Say it again: The most humiliating defeat in major league history. How nice is it to have that phrase associated with the New York Yankees – courtesy of the Red Sox? Oh, yes, I do believe I have my gloat on. The Yankees last night completed the worst collapse in postseason baseball history when they got clobbered by the hated Boston Red Sox in Game 7 of an American League Championship Series they once led 3-0 (NY Post). The worst collapse for them, the greatest comeback for us. "The darkest moment in Yankee history… "
If I had a parrot, I'd teach him to say that line just so I could hear it over and over and over. Today's NY tabloids sound a bitter theme. Meantime, the Yankees World Series tickets have been canceled at Ticketron. Fifty-three years ago, Bobby Thomson destroyed fiction with one swing of the bat. In the aftermath of the "Shot Heard 'Round the World", fables, tall-tales, fantasy and sci-fi, the best of the MGM swashbucklers and the great Russian epics were all moot to the brilliance of what had been seen in the sunshine on the Polo Grounds. What good was Mark Twain, John Steinbeck, William Faulkner after "The Giants win the pennant! The Giants win the pennant!"? Since that autumn day in 1951 the imagination has slowly regained its strength, tried to stand on its uneven footing, only to topple and wash away beneath the great tidal wave called the Boston Red Sox comeback. Pick up your favorite novel this morning, I dare you. Never has a book seemed so heavy, so dead. For last night, in Yankee Stadium, the Red Sox achieved "the utterly impossible, the inexpressibly fantastic", grabbed a ghost by the throat and throttled the ectoplasm out of it. And while it might be premature to ring the bells and declare the beginning of a Red Sox dynasty, the Yankee century is finished. The curse is over. Now it is done. Johnny Pesky hasn't thrown Enos Slaughter out at the plate just yet, but Joe McCarthy finally left Ellis Kinder in at Yankee Stadium and Luis Aparicio finally kept his footing and crossed the plate. 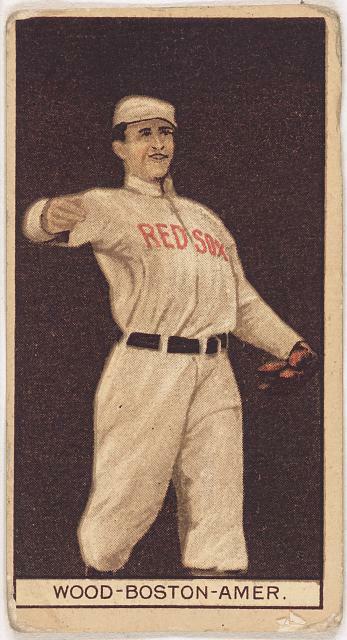 Darrell Johnson hasn't left Jim Willoughby in the game just yet, but B.F. Dent's shot has merely bounced off the Green Monster right into Carl Yastrzemski's glove. The Curse is only half way aboard the hearse but the the heaviest weight of it is flat aboard the ledge. The Boston Red Sox turned the impossible into the improbable and left the New York Yankees to shake their heads and spend a winter of their malcontent pondering just how on earth they were upended by the single most stupefying comeback in the singularly stupefying history of baseball. They performed that which the conventional wisdom and generations of Red Sox demonology had ordained could never be done. Original Sin, don't you know. Doomed by dint of selling Babe Ruth, the Red Sox are baseball's Sisyphus, perpetually up the mountain, the stone perpetually angled to roll them right back down to the foot, where they would pick up, dust off, start all over again, to the same punitive result. Gods are not to be sold without eternity's consequences. Today, Oct. 21, is the anniversary of the previous Sox high-water mark, the 6th Game of the '75 Series. Dale Price theorizes putting Pedro in last night was part of a required rite of exorcism. It is safe to say Bill Mazeroski finally has surrendered his 44-year-hold on first place on the Yankee heartbreak list. This isn't sour grapes. I may technically be a Yankees "fan" but it's only out of vestigial loyalty sort of like the way Madonna is still a "Catholic." Nevertheless, I do hope the Red Sox lose in the World Series. There aren't many curses left in modern society most people still believe in. We've sanitized the culture of such mysticisms. Or we've elevated them to quasi-religions deserving full respect under the rules of political correctness ("Oh? You're a Pagan? Isn't that wonderful! My hairdresser's a Druid!"). The BoSox curse is old but it's not weird. It's a comfortable bit of lore which adds drama to life. If it disappears the magic and mystery of life will be a teeny bit diminished. Except of course for Red Sox fans, who will be whistling dixie out of every orifice for a year. Depriving them of such joy seems worth the price. John Derbyshire: The Yankees are a class act; the Bosox are a rabble. I think Edmund Burke would argue that, as it is traditional that the Red Sox lose, it is therefore right that the Red Sox lose. This could, of course, be expanded to "lose in a heartbreaker," so after their stunning comeback they could well win tonight, only to go on and lose (in heartbreaking fashion, of course) in the World Series, and still fulfill the conservative requirement. This I believe is a misreading of Burke, an Irishman in whose veins ran the Hibernian blood of Nuf Ced McGreevey; and who would have appreciated the founding tradition of Boston preeminence in the World Series, won five times by the Red Sox (and once by the Braves) between 1903 and 1918: a tradition broken when Babe Ruth and all of the Sox' supporting stars were shipped, for Mammon, to New York, where they formed the Yankee dynasty of the 1920s. Burke, the Exceptional Whig, would cheer the Red Sox' victory as a Glorious Restoration. He'd be a Royal Rooter.